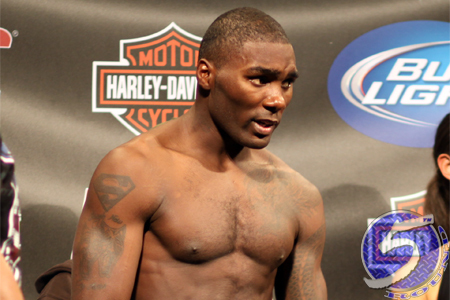 Less than two weeks ago, Anthony Johnson (pictured) schooled Phil Davis in his return to the UFC. The promotion is wasting no time in issuing Johnson his next assignment. On Thursday morning, the UFC announced Johnson will meet veteran Antonio Rogerio Nogueira at UFC on FOX 12. Johnson will be riding a seven-fight winning streak into the contest. He looked absolutely dominant last month in a landslide unanimous decision victory over Davis. Nogueira has rattled off two straight wins, but the jiu jitsu specialist hasn’t been seen since beating Rashad Evans in February 2013. Little Nog has been battling various injuries over the past year. No other bouts have been confirmed for the lineup. It is unlikely this 205-pound shootout will headline the show.